history. Seeing these paintings, relics and statues in person sparks my imagination, and the next thing I know, I'm spinning plots in my head. It’s a little like being the proverbial fly on the wall to events that happened centuries ago. Time traveling without giving up the modern necessities of life. I don’t know about non-writers who love to wander these exhibits, but, for writers, each turn of the corner can bring a new idea, whether it has to do with the objects on display or the people coming to see them. 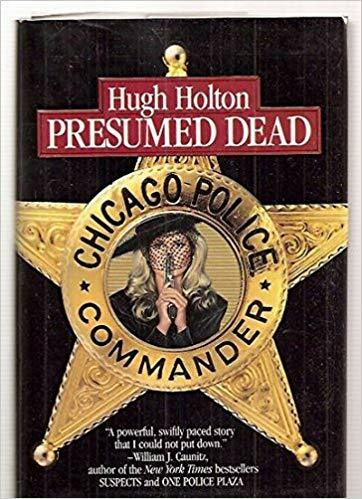 The late, real-life, Chicago police officer, Hugh Holton, set his first published book, PRESUMED DEAD, around an institution modeled on the Museum of Science and Industry. Turns out there was a monster in the basement, and Holton’s fictional police counterpart, Larry Cole, investigates the disappearance of a number of museum visitors. If you like a dash of Stephen King mixed with your police procedural, you won’t be disappointed. Anyone who’s a fan of Preston and Child’s thrillers might recall the trilogy that was part of the FBI Agent Pendergast series set in and around the New York Museum of Natural History. Naturally, I picked up the third and read it first. But in my defense, I was drawn to the title, THE BOOK OF THE DEAD, which revolves around a cursed ancient tomb about to be put on public display, and where Agent Pendergast goes head-to-head with his psychotic, serial-killer brother. 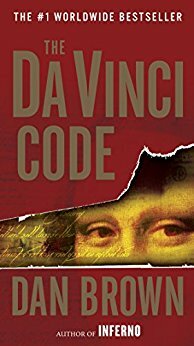 A mention of museum-centric thrillers can’t be made without bringing up THE DA VINCI CODE by author Dan Brown. This Robert Langdon blockbuster sent readers and writers into a frenzy for very different reasons. Readers loved the easy-reading historical connection—part of which was set in the most famous museum of all, the Louvre—and quickly searched for similar books, while awaiting the next installment. Writers who came before and after TDVC were suddenly finding their works compared to Dan Brown’s book. Some hated the comparison, for various reasons which I won’t go into here, but others, like author James Rollins, had no issues. 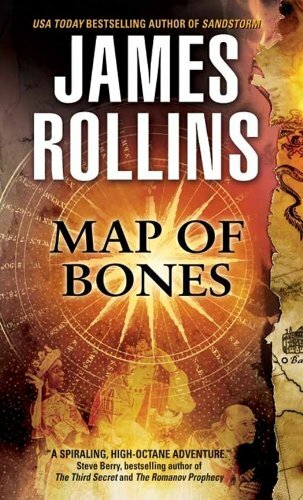 Rollins' thriller, MAP OF BONES, had just been released. I remember asking him if the comparison bothered him at all. He pointed to an article in People magazine in which the reviewer compared that book to THE DA VINCI CODE. His thought was that anything that brings attention to one’s work is a good thing. 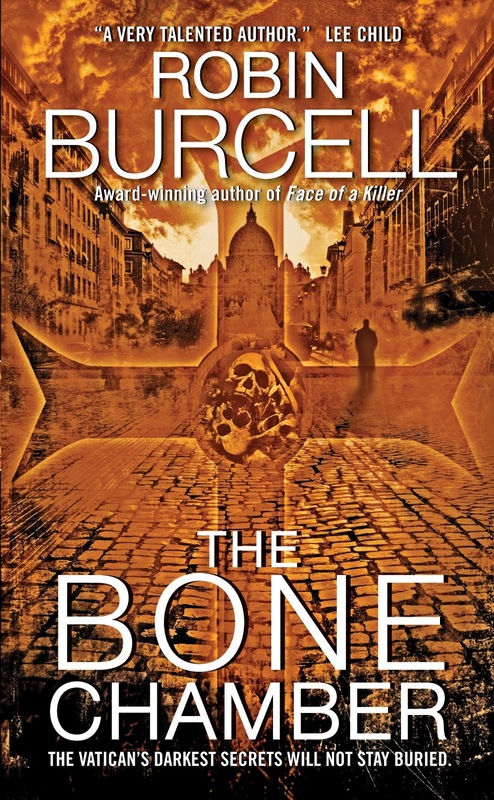 MAP OF BONES was Rollins’ breakout book, which, you guessed it, has a museum connection. It’s part of the Sigma Force series, and the headquarters are stationed beneath the Smithsonian Institute, one of the most famous museums in the world. It so happens that this conversation with James Rollins was instrumental in guiding me into the international thriller genre. Not only did he and I share the same editor at the time, but he was the one who gave me the idea that eventually became the plot for THE BONE CHAMBER, book 2 in the FBI agent Sydney Fitzpatrick series, which opens with a murder on the grounds of the Smithsonian Institute. That wasn’t the last high-octane museum connection I’d include in my fiction. After a research trip to Europe, I was ready. I set several key scenes and a narrow escape at the Rijksmuseum in Amsterdam into THE DARK HOUR, book 3 of the series. And then, years later, while co-writing PIRATE, my first thriller with Clive Cussler, I pulled out the photos of my visit to the British Museum, which inspired me to send Cussler’s intrepid treasure hunters, Sam and Remi Fargo, into that very location to chase down a vital clue. Like other authors who came before me, I simply can’t resist the lure of a good museum. Fortunately, for the millions of people who visit such places, murder and intrigue on the premises tend to be a rare occurrence. No doubt, I've forgotten a lot of books I've read over the years that have some connection to museums, and I'm hoping to see more suggestions in the comments below. I’m curious, Rogue Readers. What are some of your favorite books where museums figure into the plot? The Murder Room, 12th in the Adam Dalgliesh series, by P.D. James, which begins with the murder of a trustee of The Dupayne, a small private museum in London that's devoted to the interwar years 1919-1939. The murders appear to echo notorious crimes of the past featured in one of the museum's galleries: The Murder Room. Yes! I actually had The Bone Vault by Fairstein in my mind when I wrote it, then completely forgot! Thanks for reminding me! One of my favorite novels is THE ART FORGER by B. A. Shapiro - based on the "real-life" mystery of the theft of a Degas painting from the Isabella Stewart Gardner Museum in Boston. You are so right about how visits to museums can give authors fabulous ideas about how to create thrillers filled with intriguing history. Now I have to go back and read your story, PIRATE, - I missed that one. Thanks for a very interesting post! I will have to check out Shapiro's book! I actually used a theft from the Gardner as a plot point in The Dark Hour when they were visiting the Rijksmuseum. But it was of the Rembrandt, not the Degas! What a small world! I wrote a whole series - the Dani O'Rourke Mysteries - about a museum executive who gets caught up in art and antiquities crime. different types of crime but all connected to the exploding costs of art in the secondary markets and the consequent development of an entire cohort of people who purchase top quality art solely for investment, bragging rights, or money laundering purposes. Money + Art = Crime!